You’re running late to work, you spilled hot coffee all over your white shirt, you still have to drop the kids off, and whoops–you forgot to feed the dog as you ran out the front door! We’ve all had days when it feels like the world won’t stop spinning for even just a second so you can catch your breath. And the truth is, it won’t stop spinning–but that doesn’t mean you can’t carve out some well-deserved “me time” to make it feel as if it has. The Central Coast is home to hundreds of wineries, miles of scenic ocean views, an array of luxurious spas, and much more. With opportunities like this waiting just outside your door, it would be a shame not to treat yourself every once in a while. We’ve been spoiled on the Central Coast, and you should be spoiled too. Check out the list below and start planning your perfect day, and remember–be a little selfish. You know you deserve it. Since the town’s discovery, Paso Robles has been known for it’s naturally occurring hot springs. Rich in minerals, these hot springs provide many benefits to the body, like relief from muscle aches or joint pain, detoxification, and even maintaining healthy, youthful-looking skin. During their remodel, the Paso Robles Inn re-drilled the hot mineral spring well so that the natural mineral spring waters could be made available in private tubs in select guest rooms. Today, there are 18 Deluxe Mineral Spa Rooms which feature the amazing private mineral water soaking tubs. 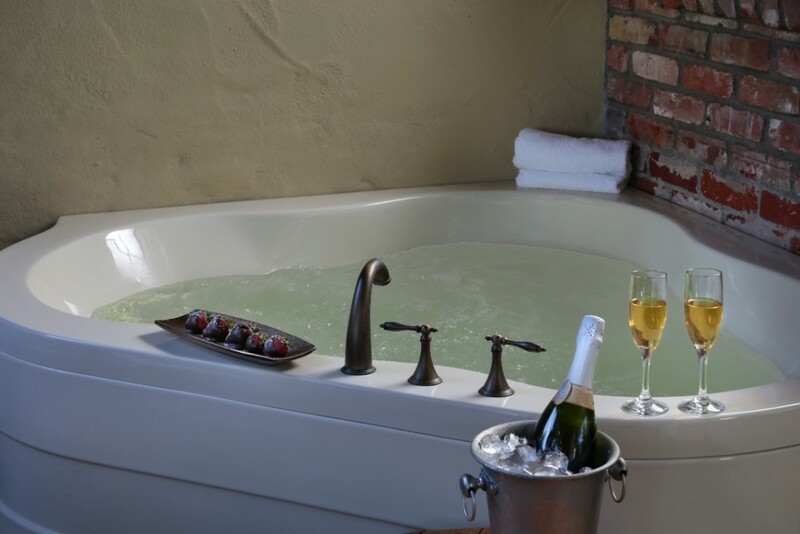 Book a night at the Paso Robles Inn and enjoy a glass of red wine next to a crackling fire place as you soak in all the goodness that these tubs have to offer your body. 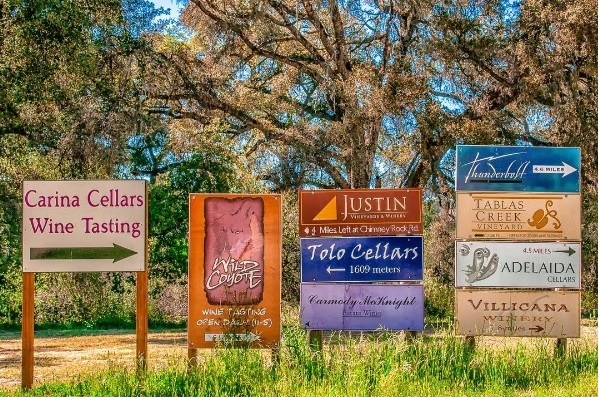 Enjoy the best of Paso Robles Wine Country without worrying about finding a driver or getting lost in the beautiful hills of Sunset Magazine’s 2016 Best Wine Country Town. With Destination Driver’s custom wine tours, they do the driving for you—in the comfort of your own car! Embrace your inner backseat driver and select your starting location and which wineries you want to taste at. Their friendly and knowledgeable drivers offer useful insight and suggestions to ensure that your group enjoys a full tasting experience. Since it’s your vehicle and your own personal driver, spend as much time as you’d like at each location, tasting at your own pace. In the car, relax and enjoy the company of your loved ones rather than stressing about maps and directions. Indulge in the provided gourmet cheese and snack basket and stay hydrated with bottled ice water. 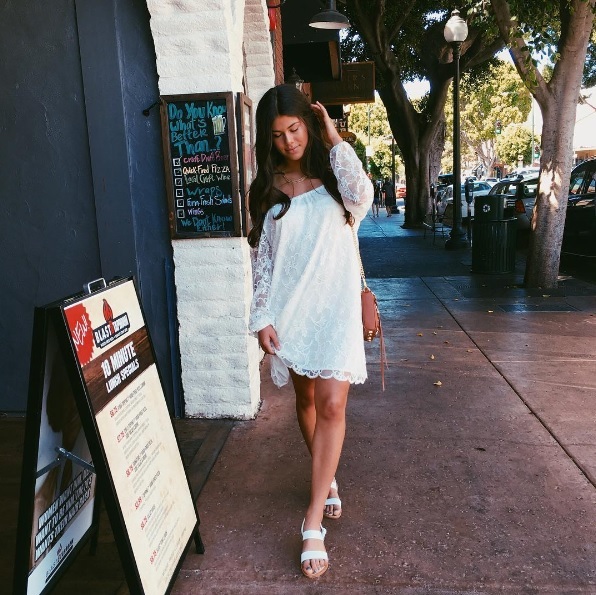 A variety of unique, locally-owned boutiques line the sidewalk as you stroll down Higuera Street of lovely Downtown San Luis Obispo, which makes for the perfect day of shopping, lunching, and treating yourself to beautiful clothes, shoes, and accessories. After all, you can’t spoil yourself without doing a little damage on your credit card. Ambiance, Avanti, Bella B, and French Quarter are just a few of the shops where the friendly staff will assist you in finding exactly what you need, so you hardly have to lift a finger as you comb through the racks. Grab a latte from Scout Coffee or Kreuzberg to keep your energy levels high as you and your friends duck in and out of stores looking for that perfect something that will add a little spring to your step. 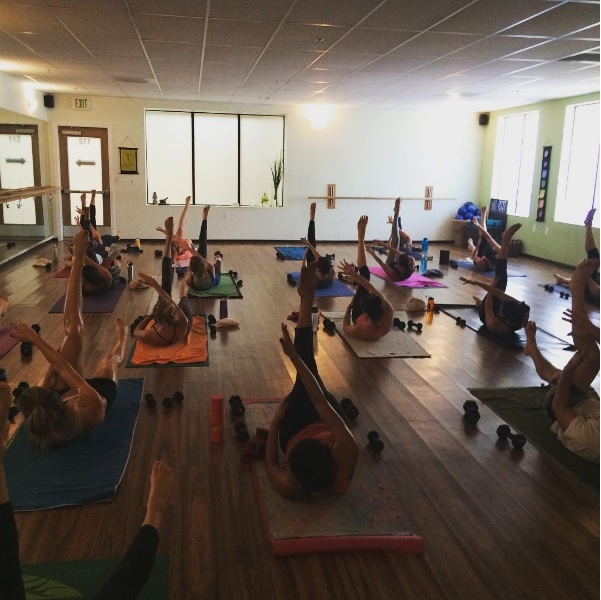 Find your center and sweat your stresses away with one of the many “hot” classes offered at Spark Yoga. Whether you choose to do Yoga, Barre, or Sculpt, there’s a class for every Yogi, beginner or advanced. The best part? Your very first class is completely free! As soon as you step into the Spark studio, you are greeted by friendly staff and the powerful yet calming aroma of incense. The heat of the studio envelops your body like a comforting hug, allowing you to focus on positive energy and restoring your mind and body. The combination of your breath and movement cultivate a deeper connection with your body and spirit, so you can’t help but feel alleviated from physical and mental tension after your class. Stop by The Neighborhood as you walk back to your car for a delicious and nutritious acai bowl to continue to do good for your body even after your workout. Let yourself melt into the massage table and relish in the tranquility of The Spa at Avila Beach, the onsite spa at Avila Lighthouse Suites. Enjoy a warm seashell massage or an invigorating citrus body scrub. With a complete spa menu, achieve harmony, balance, peace, serenity, bliss, or all of the above. Each of these luxurious spa services can be experienced in the comfort of your own guestroom or at the calming, recently renovated spa. Afterwards, just steps from your hotel room, walk barefoot along the beach as the calming lull of the waves lap against the sand and let the grandeur of the Pacific Ocean make your stresses feel small and insignificant.